Just one year after starting my learning journey on Trailhead, I have been able to score a job that utilizes my skills and expertise, move into a lovely new apartment, and most importantly have about one hundred new close friends. How did you first encounter Salesforce? While I was a student at the University of Iowa, I was diagnosed with late-stage cancer. This was undoubtedly the worst time of my life, but thankfully, I was able to beat my cancer into remission. After I was in the clear, I made the choice not to go back to college and began working at Imerman Angels, the largest 1:1 network of cancer survivors and fighters. Imerman Angels manages tons of information about matching, tracking, and reporting. And where does all of that information go? Into Salesforce, of course! 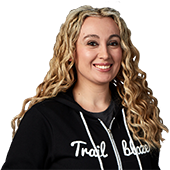 When did you first encounter Trailhead? Trailhead was everywhere at Dreamforce in 2016. I initially delayed getting started on Trailhead because I expected it just to be printouts and PDFs. I was so surprised when I dove in. 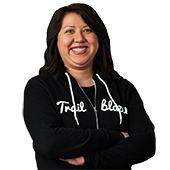 I had access to my own Salesforce org to play with – and even break if necessary – and interactive challenges that validated my work. 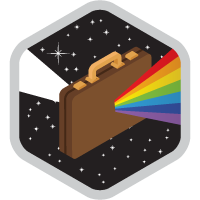 Do you remember a particular moment when you realized you were becoming a Salesforce expert? When my boss said, “We need to clean up the data, what do you suggest?” I was able to put a deck together for my team that explained what we should do to cleanse our data, from simple ways to ensure data integrity to larger solutions like having data management scan our org and give us a data health report. 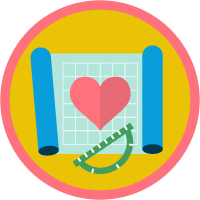 How has Trailhead helped change your life for the better? 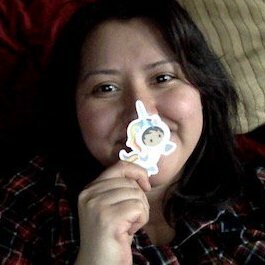 Just one year after starting my learning journey on Trailhead, I have been able to score a job that utilizes my skills and expertise, move into a lovely new apartment, and most importantly have about one hundred new close friends. I'm so thankful for the Ohana and the opportunities I have been so lucky to receive. When I started looking for a new job recently, there were so many recruiters clamoring to talk to me and almost every job I applied for called me back. I had to hit pause and do a lot of self-reflection to make sure I was making the right choice. I have never had that experience before, it was amazing. The Trailblazer community is my second chance. Three years in treatment and recovery sets you back. Imagine all the personal connections you've made, certificates you've obtained, promotions you've earned, mistakes you've learned from, and salary increases you've accumulated in three years. I lost three years' worth of experiences to cancer. The community helped me catch up with not only the right skills, but also with the confidence to pursue opportunities aligned with who I am personally and professionally. 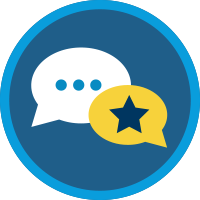 What has been your favorite in-person Salesforce event? My local Salesforce Saturday group here in Chicago, led by Mary Tagler, is a home away from home. The women and men in this group are incredible. They're smart, kind, and have warm laughs. Dreamforce is a close second - it's always an inspiring experience and I have met the most amazing individuals that I'm fortunate enough to keep in touch with via LinkedIn, Twitter, and email. 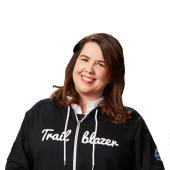 What do you think makes the Trailblazer community and Salesforce Ohana so special? 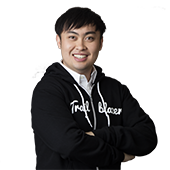 It's the team behind Trailhead and the community. To be able to deliver quality skill-building modules, fun podcasts, meaningful events, fun tweets, etc. is an unparalleled level of dedication. It's this genuine dedication and enthusiasm that is attracting such a strong community. Being a Trailblazer is about having a strong heart, a consistent work ethic, and a lion's courage to go above and beyond your level of comfort and expertise. My advice to new Trailblazers is to be deliberately curious. Assess and appreciate the failures and rejections, because they will make you better-prepared for the opportunity that being a Trailblazer provides. Be agile and prepared to re-assess your goals, but stay committed to your true north. And most importantly, make friends. The trailblazing journey is ultimately about the people you meet along the way and the conversations you have with them.